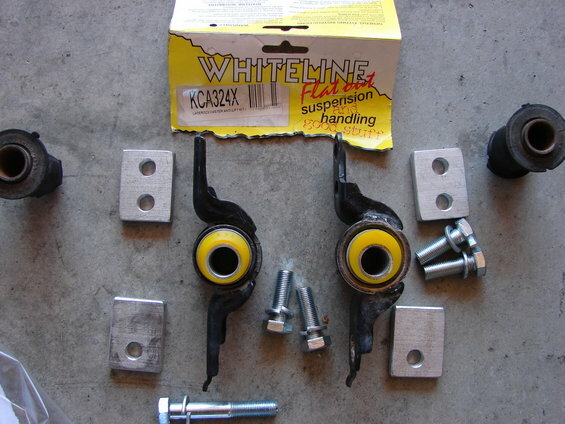 I picked up an old stock Whiteline bushing kit (bushing/castor/anti lift) for the front control arm for the BG chassis model (Ford Laser KF-KH TX3, 323 Familia GTR etc). Its a really old stock piece that is no longer available. 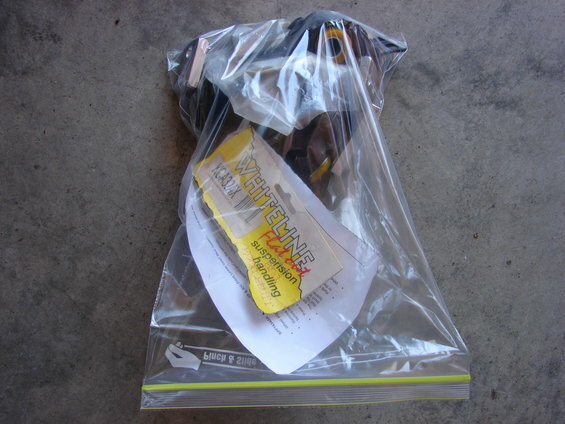 The packaging had been fiddled with and the anti lift packers enclosed were all wrong. Made up some new ones from high tensile aluminium plate. 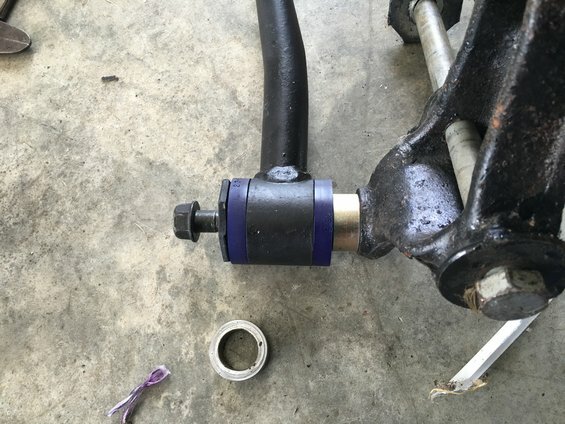 Fitted the bushings to a set of small diameter control arm rear mounts. Will fit them to one of the cars, then get it wheel aligned and see how it goes. I have found some time to convert the DIY AutoTune MSPNP2 installation over to Wasted Spark. 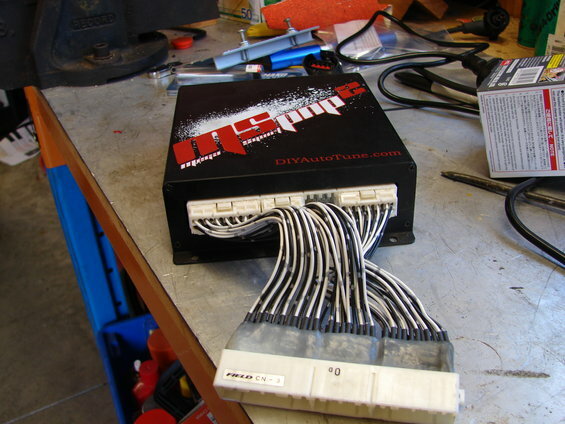 I am using the King6 custom Loom, 36:1 wheel, QuadSpark ignitor, PRD plug leads and an OEM Coil pack. 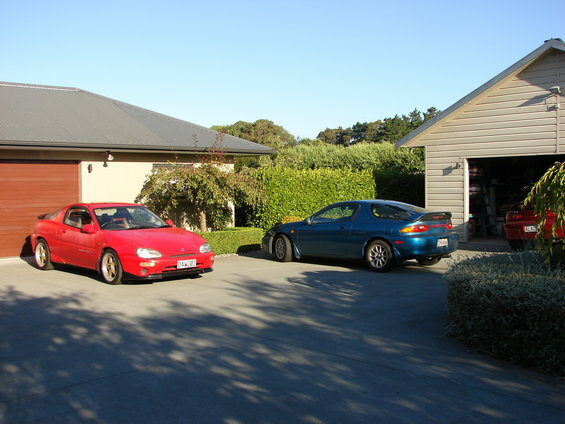 That meant moving the red car out of the shed and into the sunshine to make some elbow room. 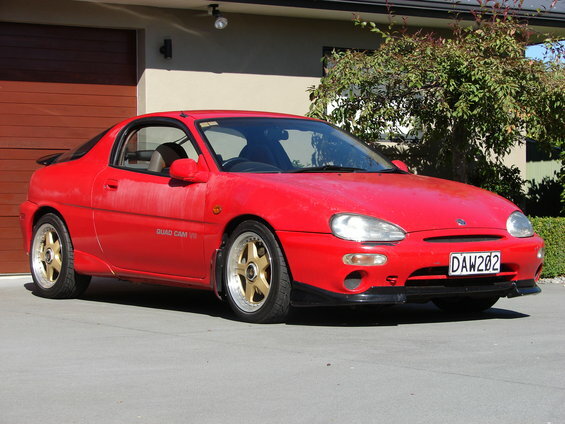 The paint finish is in typical 20+year old Mazda red condition. That means OK to look at from about 5 Metres away. 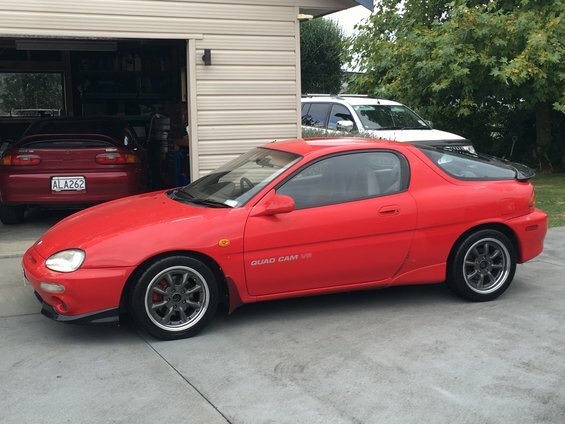 The daily arrived home during the day. That was worth another photo. Was it difficult to set everything up ?? Could you share what you've changed in Megasquirt/Tunerstudio ? I want to do this as well in the future. 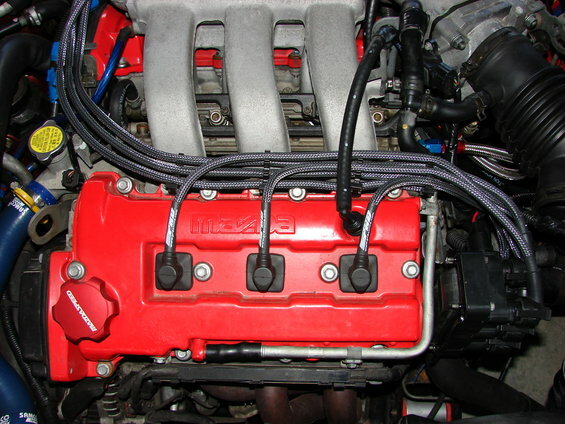 Are those PRD wires for an original mx3 and could just fit to the coilpack or did you have to get others? Yes my experience so far is that it is not plug and play!! It is still a WIP (work in progress). The DIYAutotune MSpnp2 (read my one anyway which is a V1.2 Board) is set up to "switch" the DIYAutotune QuadSpark external ignitor off the 15 pin Options Port pins #2, #3 and #4 (they are labelled Spark output A, Spark output B and "WLED" relay control/Spark Output C respectively). 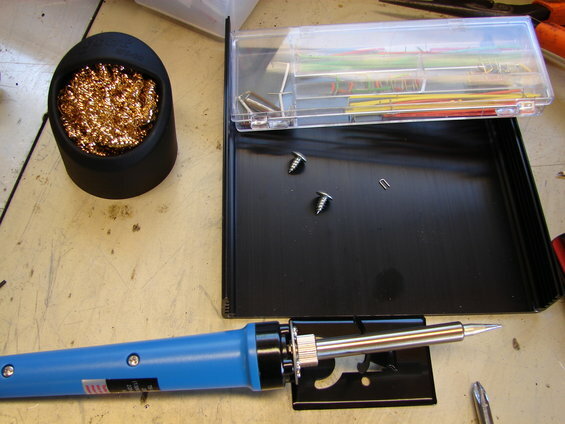 The King6FAB loom (which is excellent value for money by the way) is set up to incorporate the QuadSpark and match the Options Port pin out arrangement to Coil A (pin #2) Coil B (pin #3) and Coil C to pin #4. 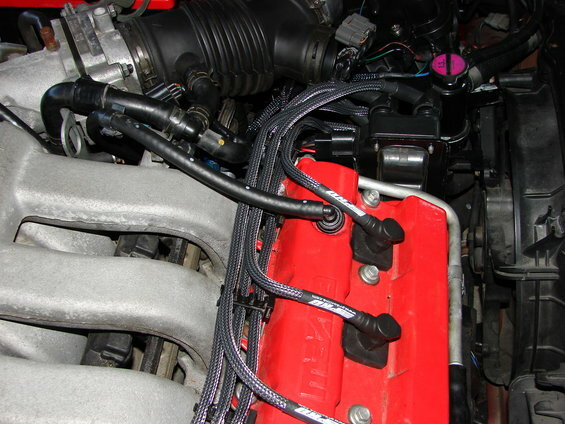 The firing order being the standard Coil A (cylinders 1,4) Coil B (cylinders 2,5) and Coil C (cylinders 3,6). 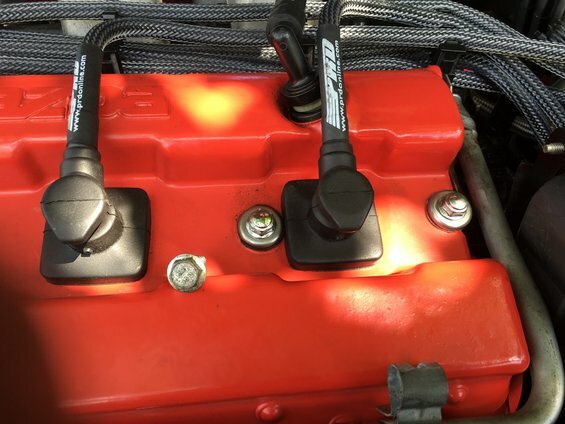 The problem was (is) that Coil C is not firing (no spark on leads 3 and 6), That was a shock to the system as I had to go back to my long not used diagnostic experience and track the cause down. That was fun. Long story short. I started at the plugs leads and worked my way back through the wiring connections, the loom, the QuadSpark and back to the MSpnp2...all the way back to find that pin #4 is not generating a switching current at the MSpnp2 unit. Must be some internal conflict in the MSpnp2 unit on pin #4. Still working through that. The Tuner studio changes (remember just start up configuration as not tuned on this distributor setup yet) are simple enough and I can step you through that if you need. I purchased the PRD leads a long while back specifically with this upgrade (??) project in mind and have just got around to using them. The fit (length etc) is perfect and the leads sit well in the OEM KL plug lead fittings so that I can maintain the OEM lead routing. Ok. Still waiting for a response from DIYAutotune. Not surprising this time of the year. 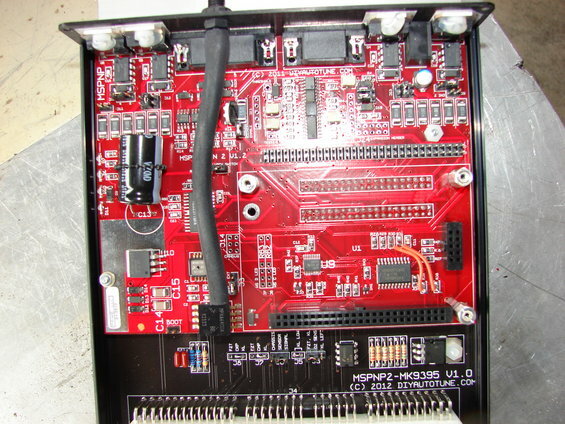 A little digging online on their website for information on their MegaSquirtPNP G2 MK9395 (V1.2 Board) turned up some interesting information. 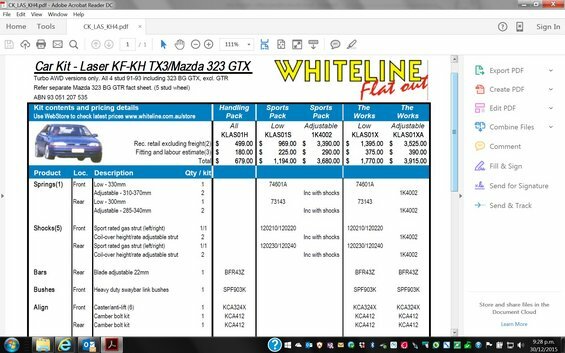 The online documentation is different to that setup information/documentation distributed at the time on CD with the MK9395 MSpnp2 when I purchased it. The original documentation set out the Wasted Spark option on any easy as basis. Add a logic level ignitor to the mix and away you go. The current documentation (see the link below) includes one NEW critical additional piece of information. 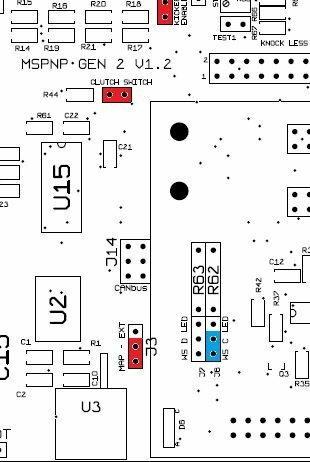 It appears that on the V1.2 Board there is a hidden jumper located under the Microsquirt module (and marked in blue on the picture below) that must be set before the Wasted Spark option will work. So that is my best assumption until I can get a response from DIYAutotune. OK....so the unit is out and on the bench, top off and the microsquirt board removed. 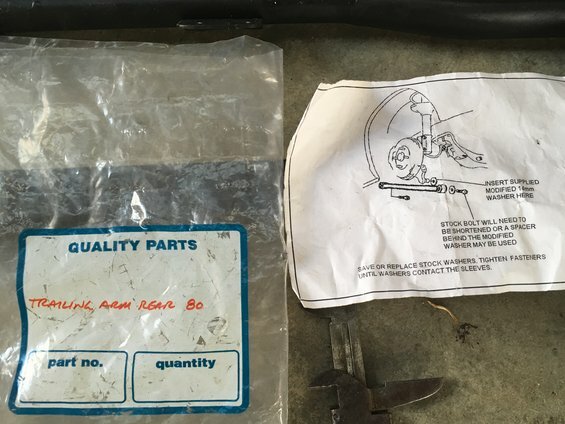 First lesson; the use of the word "jumper" in the DIYAutotune instructions does not mean fitting a jumper to pre existing jumper pins at that location. 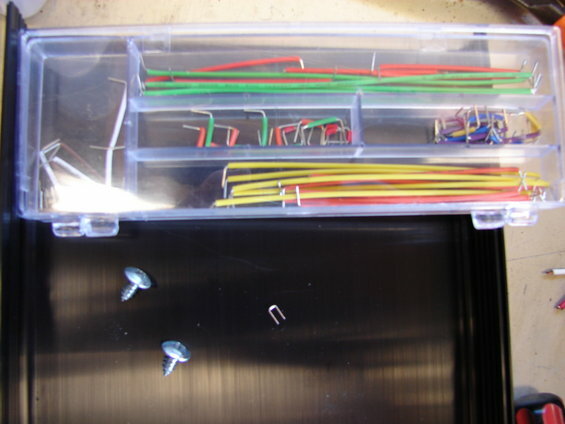 It means disassembling the Board and soldering a jumper wire across the two points on the Board. Second lesson; so much for the idea of purchasing a pre assembled "plug and play" product advertised with the option to make a simple connection of a wasted spark option by way of the Options Port D-Sub plug on the front of the unit. The wasted spark option is not "pnp" it seems? Last edited by projectB10 on January 04 2016, 7:36 PM, edited 1 time in total. 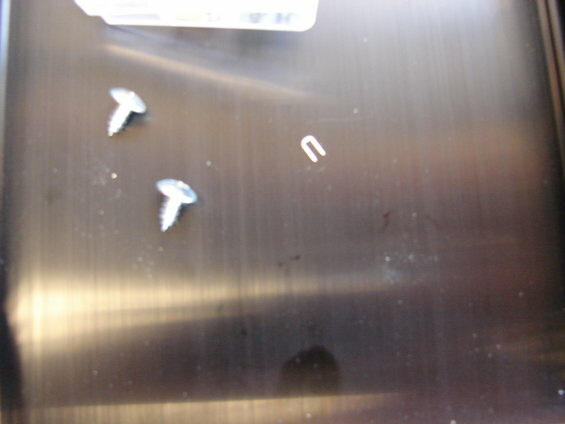 Continued; disassembled the MSpnp2 unit. soldered in the jumper across the "C" and "WS" points on the PCB as per the DIYAutotune instruction sheet. Fitted it all back into the car and started it up. Instant start up, steady acceptable idle but that odd sound remains...after all that its still NOT firing on Coil C (Cylinders 3 and 6). Checked all the new wiring again right through to the Coil pack. 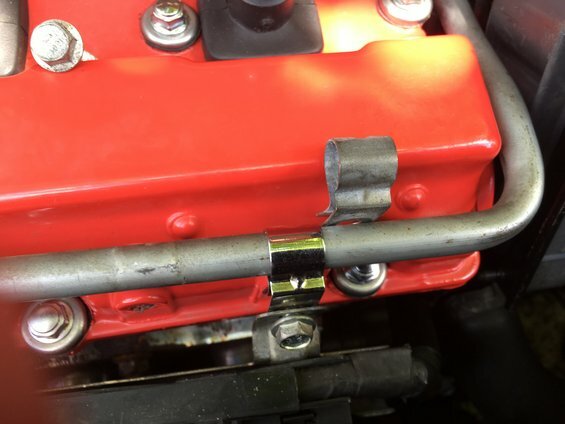 Tweaked the earth ground point for the QuadSpark by running a new heavy gauge wire through to the Coil pack mount where it bolts up to the cylinder head. Anybody got any suggestions as to what to try next? 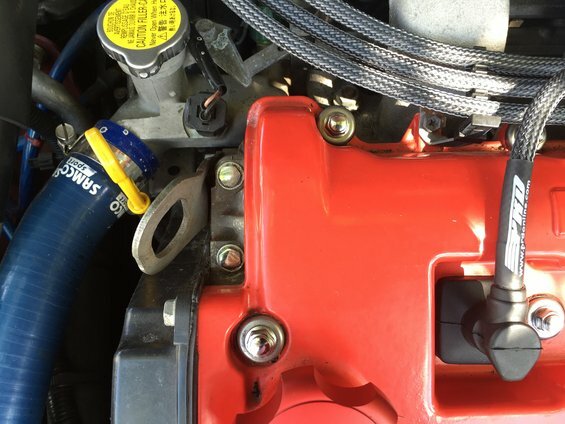 Another or on going attempt at diagnosing the problem to assist a solution. I disconnected the QuadSpark from Pin #s 2,3 and 4. Changed the Ignition Options in TunerStudio and burnt the setting to Spark "going low, (normal)"
Something weird going on at pin #4? I understood the range at the pin was 0V to 5V? OK a 100ohm 1/4 watt resistor across R62 will fix the over voltage problem to pin #4. Couldn't find one in the grab bag of bits I have and could only find a 100ohm 1/2 watt resistor at Jaycar. Went ahead and bought some. 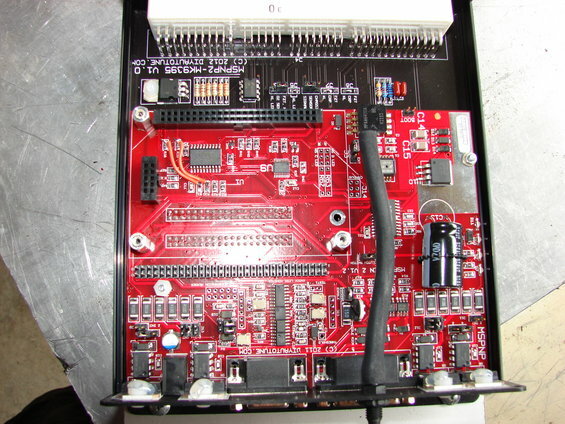 Will pull the MSpnp2 out again and get the PCB out and try soldering in a resistor across R62, tomorrow. PNP? wonder what that means? 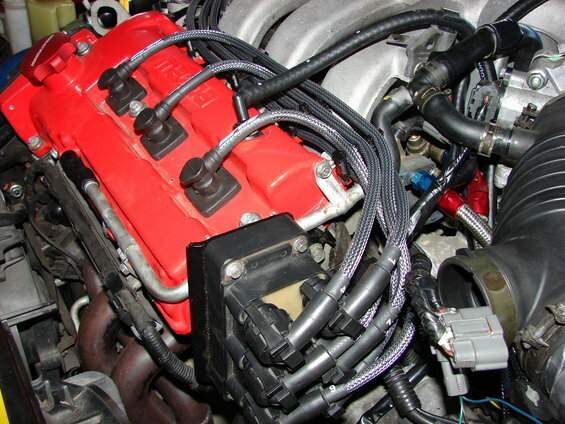 Instant start, good idle running on all six . Will button it up after I finish my coffee. Lesson learnt. The Coil Pack option as documented in the DIYAutotune instructions is incomplete. 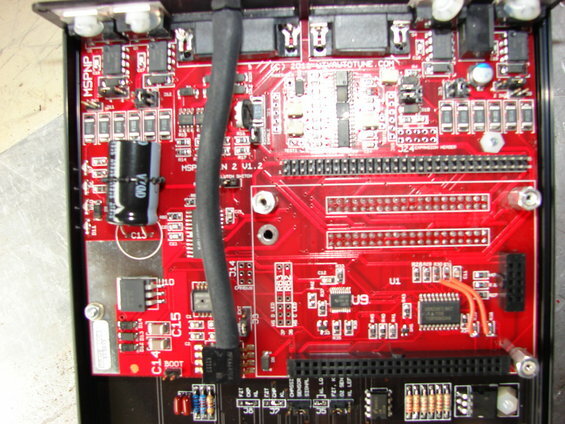 Pin #4 on the 15pin D=sub options port (once jumpered") as per instructions is on a 12V feed for some reason (on my V1.2 (Red) Board). Must add the resistor as documented earlier in Worklog. Apparently the switching transistors in the QuadSpark "do nothing" when they see more than the required Max of 5V. Fix that and I have 3 working coils. Just mucking around. 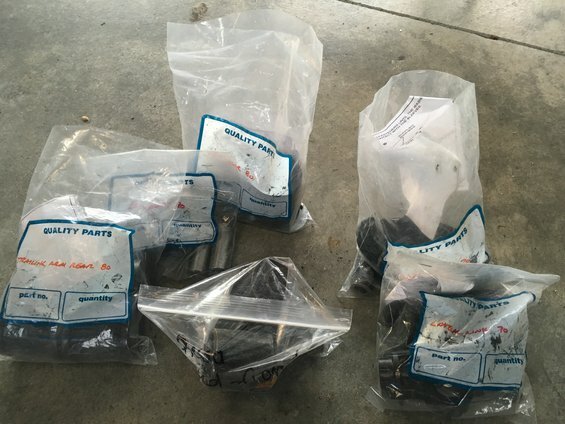 I picked up a lot of Mazda KL-ZE chromed fasteners and a few fittings for next to nothing. 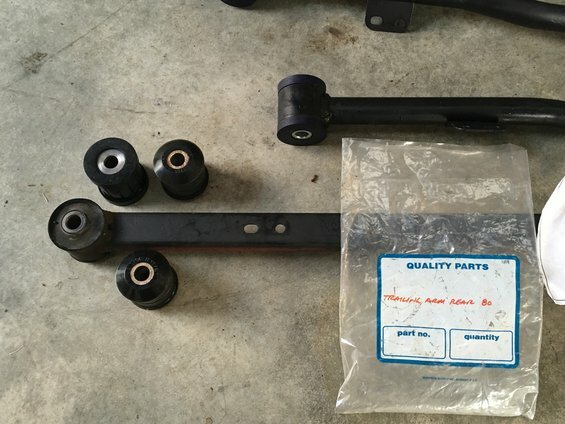 Also I woke up to the need for some alignment spacers for the rear bushing if I am going to use the Mazda Lantis trailing links. 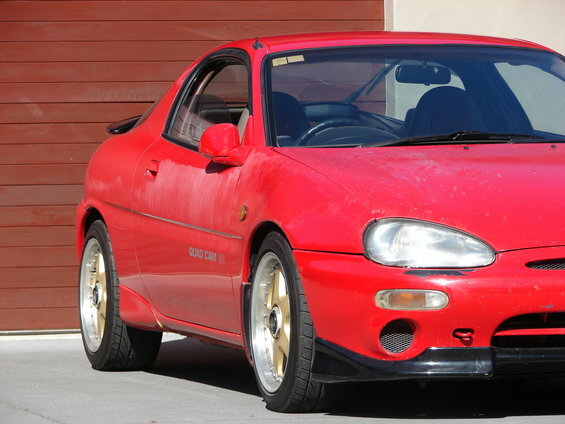 The Eunos Presso trailing link rear bushing is 65mm wide while the Lantis bushing is only 50mm wide. 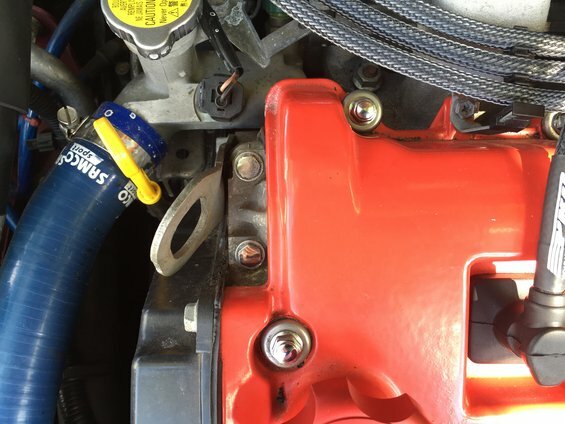 They simply bolt up if you use the short Lantis bolt (45mm). 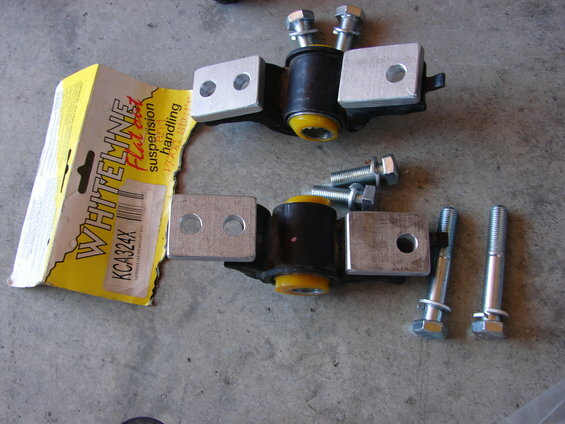 However the alignment front to rear of the link is then pulled "off" to one side. Probably no big deal but I thought I would get fussy on this one. 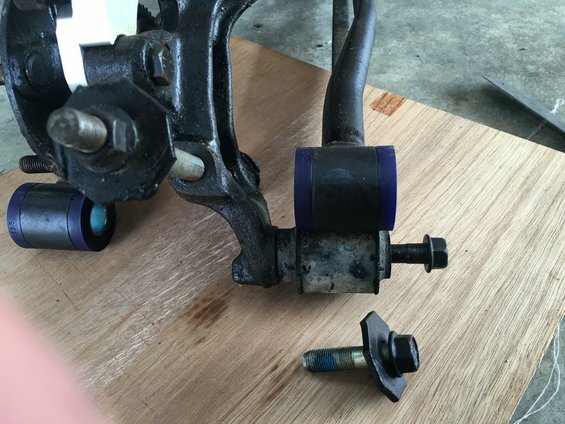 So I will get some (4) 15mm length spacers parted off on the lathe from some spare bushing material I have. 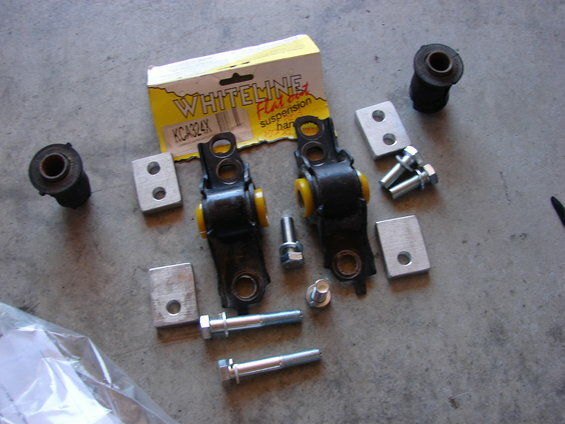 The spacers will be used to pack the Lantis trailing links out from the mounting. 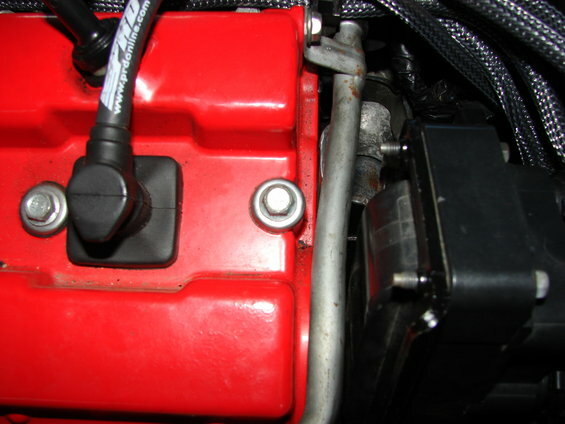 I also will use the other two apacers to "fix" the Lantis trailing links I fitted to the red Presso. 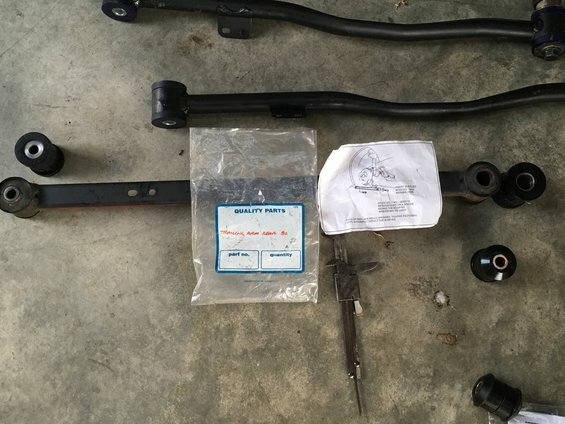 So I have spent some time trying to identify if someone somewhere has identified an issue with the maintaining the OEM trailing link alignment when swapping out the OEM links or swapping in new bushings. 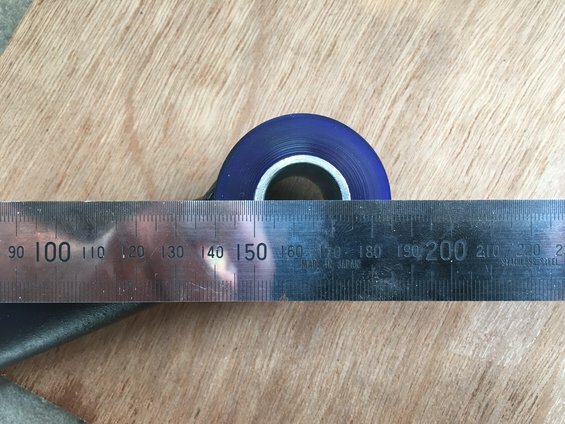 The OEM bush is 65mm edge to edge. 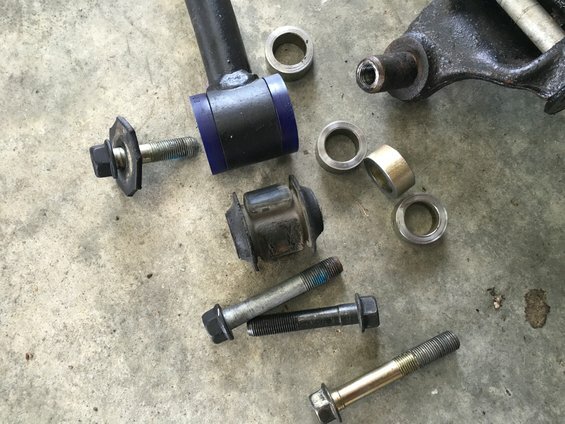 All replacement bushings that I can find are 50mm edge to edge. 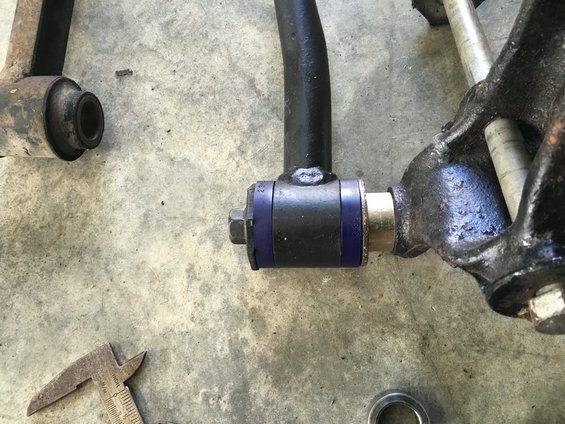 That means that the rear link is pulled 15mm out of alignment when new bushes/different rear links are used. No big deal? I am just not sure. 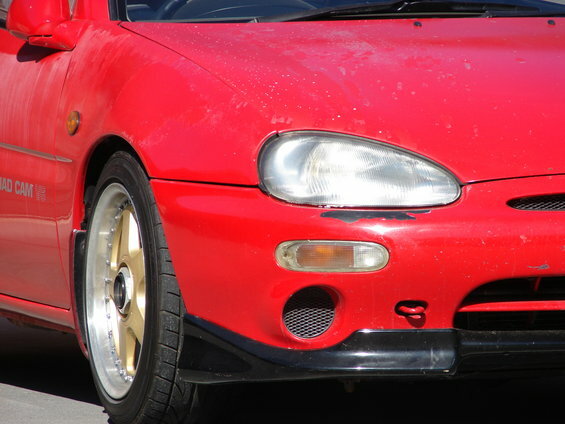 The bottom only rear link locates the spindle which is laterally located using the Mazda TTL system. I didnt want to disturb the TTL alignment. 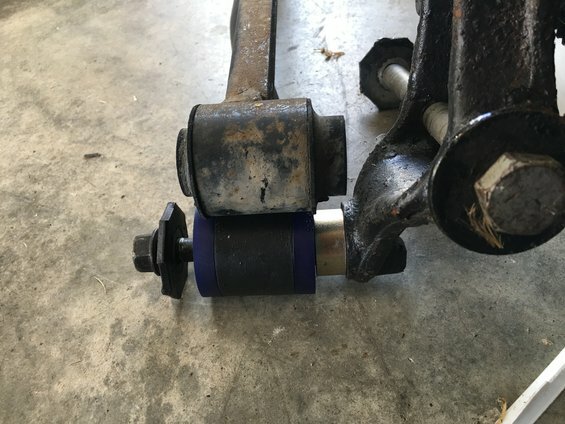 So I went ahead with making up a bushing (30mm OD x 20mm ID x 13mm L) to preserve the original trailing link alignment. 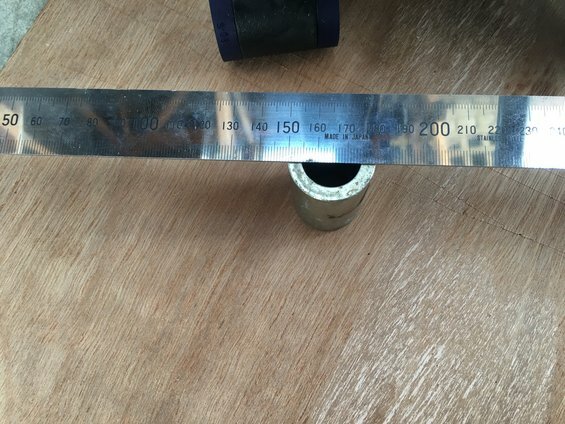 I will use a 37mm OD x 20mm ID x 2mm stainless washer in 306 to provide a face to separate the bush from the bushing. Last edited by projectB10 on March 22 2016, 4:12 AM, edited 1 time in total. 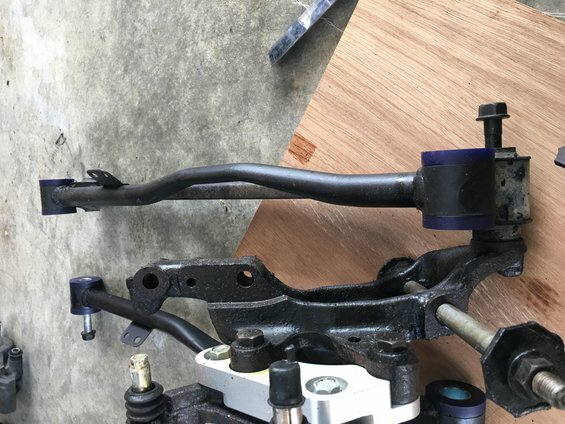 I thought about using the OEM link arm and fitting up the bushes from the wytbishop Group Buy from many moons ago. I hadn't even opened the packet before! The attraction was the 80 Duro compound. A little bit harder than the 70 Duro rating for the SuperPro stuff. It was a no go. 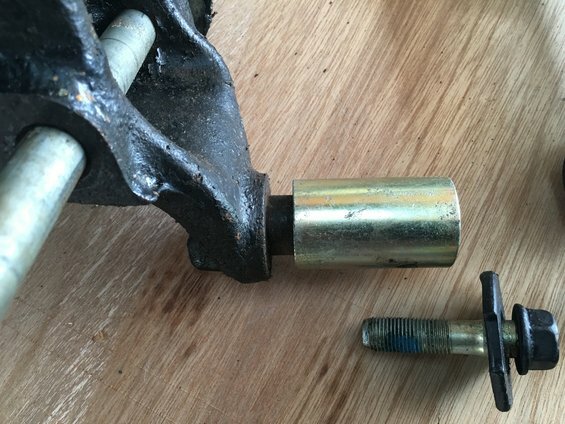 I am not sure what happened here but the diameter of rear wytbishop bushing was just too big. I have to figure out what happened there. 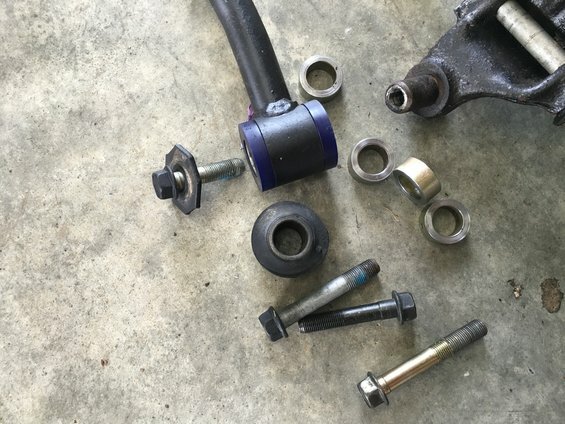 Front bushing looks all AOK. 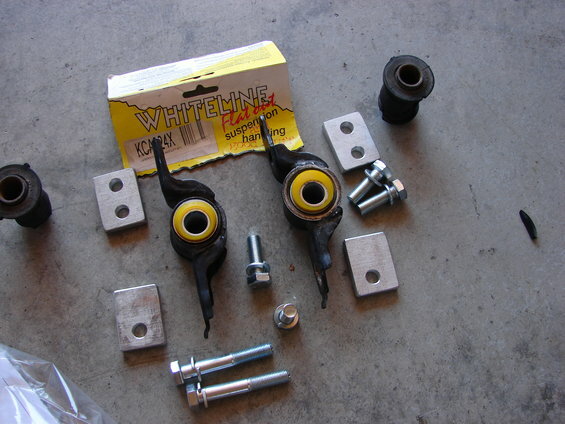 Some Whiteline bushings for comparison. 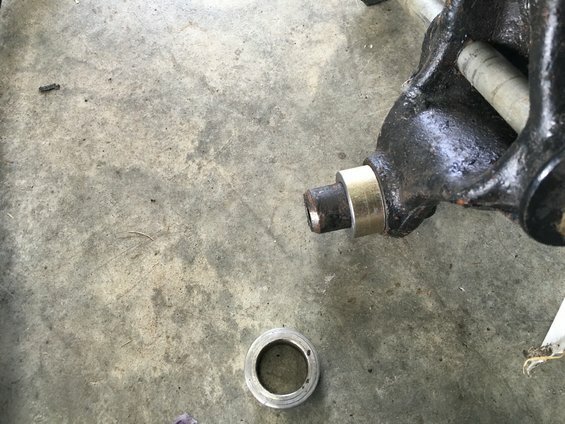 The rear bushing is a monster! 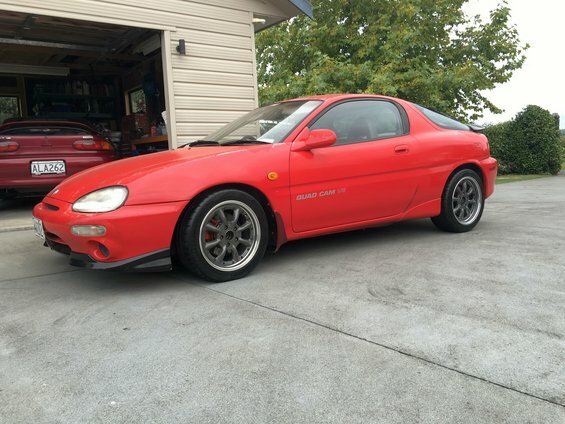 Have changed over to some old school SSR Watanabe RS-8 (2 x piece) wheels in place of the Mazdaspeeds. 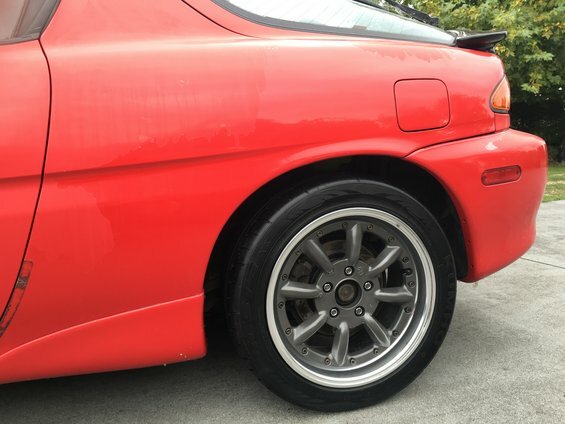 Staggered size set; Front 16x7 +38 and Rear 16x8 +40. 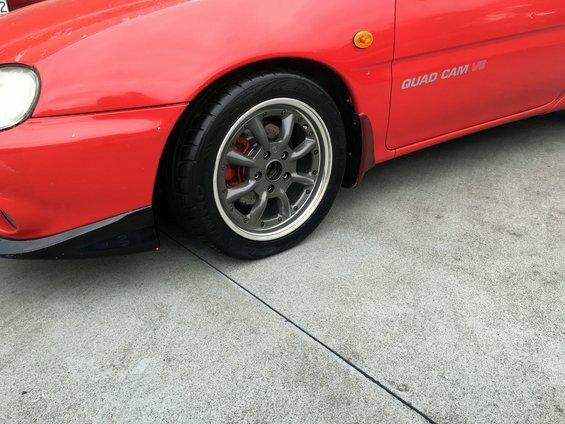 I dismantled the wheels and refreshed the powdercoat (they were black) and the barrel lip was cleanedup and refinished to remove a small amount of kerb rash. 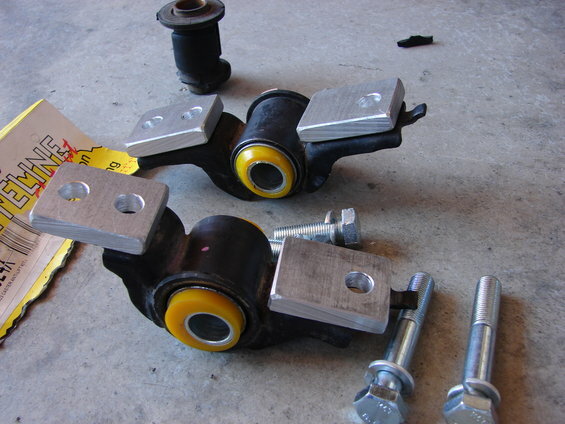 The fronts are mounted with a 15mm spacer to produce a net offset of +23. 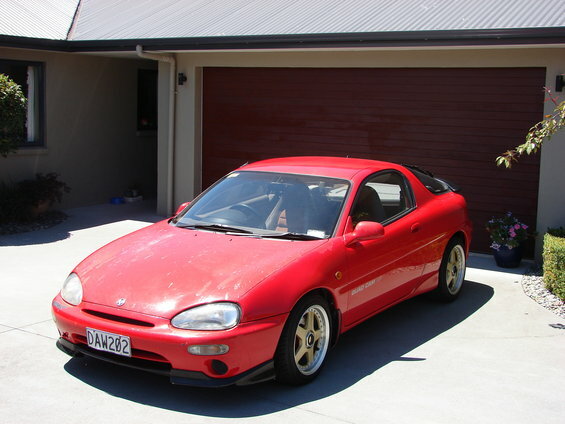 Fitted with 215 section Kumho's. Last edited by projectB10 on March 22 2016, 4:07 AM, edited 3 times in total.